Earlier today, we reported that MGM had filed a lawsuit against Earl Mac Rauch and W.D. Richter, the director and writer behind The Adventures Of Buckaroo Banzai Across The 8th Dimension, over some disagreements regarding the rights to the original movie and its universe. MGM has been trying to make a Buckaroo Banzai TV series with Kevin Smith, but Rauch and Richter have been claiming that they control the rights to the characters, so the studio wants to stop them from trying to prevent the further development of its TV project. Ironically, that seems to have backfired, as the show itself might not happen now because of the lawsuit. 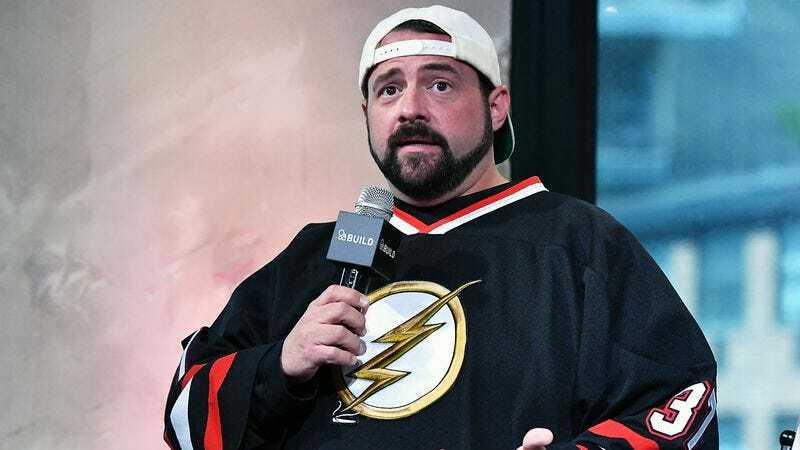 According to Deadline, Kevin Smith has dropped out of the project, explaining that he was “caught off-guard” by this legal disagreement. “This is not what I signed up for,” he said, adding that he “literally had no idea” that Rauch and Richter weren’t involved. Smith talked about this in an 18-minute Facebook video, during which he noted that he won’t work on the show unless Rauch and Richter are on board because “they had the vision.” He says that he’d be open to rejoining the project if it all works out between MGM and the two guys, but he doesn’t see that happening. On top of losing Smith, the project has also lost its prospective home at Amazon. MGM had worked out a deal to stream the series, but Amazon has now put that on hold while the studio resolves these legal issues. You can see Smith’s fiery video below.